Present state: Steps down from theCrankeood Road, platforms and a retaining wall survive but the station site is heavily overgrown and access is difficult. Notes: The station opened as Plank Lane for West Leigh along with 6 other stations on the Wigan Joint Railway in 1884. It was renamed West Leigh & Bedford on 1.1.1894. The line had been the promoted by the Cheshire Lines Railway in 1874 as a branch from its main Liverpool to Manchester line at Glazebrook that would link it to the lucrative Lancashire Coalfields. Only the Manchester Sheffield and Lincolnshire constituent of the CLC remained interested in the concept and it was they who built the line which opened to goods services in 1879. When opened it connected to the main line at Glazebrook with an east to north curve which meant services could only easily go towards Manchester. In 1900 a west to north curve was put in to allow trains to head to and from Liverpool. The line became part of the GCR and in 1923 part of the LNER but it was operated as part of the CLC system. 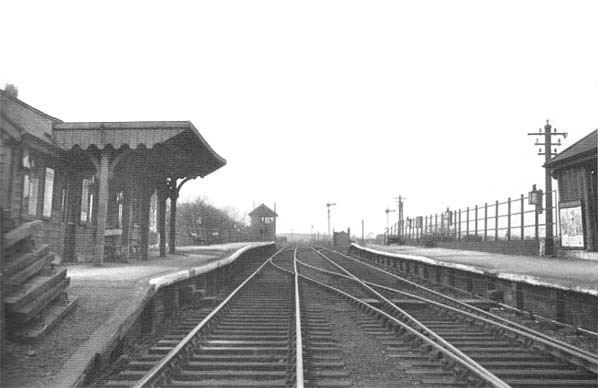 The station was situated on an embankment and had two platforms. Initially passenger services ran from Manchester Central to a temporary terminus at Wigan which was not replaced until the opening of Wigan Central in 1892. In 1894 the station was renamed as West Leigh and Bedford. From 1900, when a west to north curve was put in at Glazebrook services started to run to Warrington Central. Monday to Friday services in 1903 saw the GCR run 8 trains to Manchester and 6 to Warrington each day. Services increased under the LNER especially during the war years. However after 1945 the line went into decline and the last service was the Wigan Central to Irlam or Manchester Central service. Latterly some of these services where operated by DMU's until the end came on 1.11.1964. 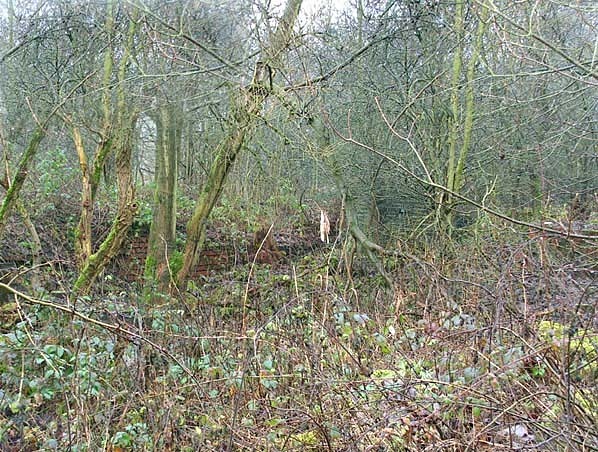 The line lingered on for goods services until 1968 although goods service had been withdrawn from West Leigh & Bedford on 5.5.1952..
Today remains of the station including the steps leading up from the road can be seen but only by struggling through the extensive shrub growth that has colonized the station site. 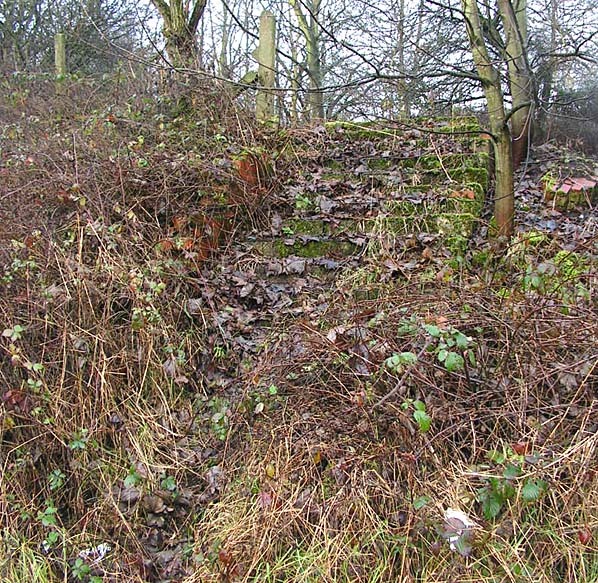 On the west side of the site a substantial section of blue engineering brick supporting wall can be seen in a residential garden. Bickershaw & Abram, Lowton St. Marys, Culcheth & Newchurch Halt.